You will be guided by qualified, native Spanish speakers who are at home with the language and culture and able to understand your learning needs. In 2003, Jorge obtained a BA in Primary Education at the Universidad Complutense of Madrid, where he also specialized in Teaching English as a Foreign Language. He later received his Certificate in Teaching Spanish at the Universidad de Alcalá de Henares in Madrid. Jorge then moved to Greece, where he worked for 5 years teaching adults in a number of Spanish academies. He obtained his qualification to be an examiner for the DELE exams from the Instituto Cervantes in Athens and continued to work both preparing students to sit the DELE exams and as an examiner during this time. 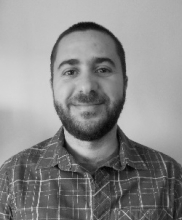 Since moving to Scotland in 2008, Jorge has continued his work as a Spanish teacher and DELE examiner for several language schools, including Languages for All at the University of Edinburgh, where he also worked as coordinator for the development of course materials. In 2010 co-founded SALT Edinburgh, which has been running for five years and of which he is now the director. Jorge also has extensive experience in training teachers of primary and secondary schools as well as adult learners and works in close collaboration with the Spanish Consulate and the British Council in coordinating educational projects. In 2002, Laura obtained a BA in Communication at the Universidad Complutense of Madrid, where she also specialised with a Master’s Degree in Equality and Gender in Social Sciences. She later received her Certificate in Teaching IT Literacy at the Esplai Foundation of Barcelona. She moved to Edinburgh in 2011 and began teaching Spanish after obtaining her qualification in Teaching Spanish from the Instituto Cervantes. Laura has been working in a variety of positions within the education sector over the past fifteen years. These include teaching, planning and initiating education and social inclusion projects, courses and workshops in charities, schools and community centres. She is specialised as an e-tutor and teacher trainer in e-learning platforms. Also in digital literacy teaching, community development, gender equality and labour integration. 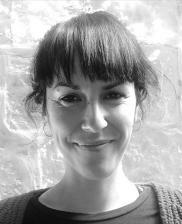 Currently she works as Spanish teacher at the After School Club of Duddingston Primary School and here at SALT Edinburgh. In 2004, José obtained a BA (Hons) in Translation and Interpreting (English and German) at the University of Alicante, Spain. He later completed his postgraduate certificate in Teaching English as a Foreign Language at the University of Murcia. After graduating, José managed to combine teaching languages with working as a real estate agent in Spain until he decided to move to Edinburgh in 2008. He began teaching English and Spanish after completing his CELTA course (Certificate in English Language to Adults) and his Certificate in Teaching Spanish as a Foreign Language at International House. He has worked since for the Edinburgh Council Adult Education Programme in different schools. José is currently taking his master’s degree in Teaching Spanish as a Foreign Language at the University Pablo de Olávide de Sevilla. In 2005, Javier obtained a BA in Hispanic Philology at the University of Valencia, Spain. Later, he completed his CAP (Course for Teacher Trainees. Pedagogical Competence) according to which he specialises teaching the subject Castilian (Spanish): Language and Literature for Secondary Education. After graduating, he combines private tutoring with other jobs and additional studies about languages and information science. Also, he participates as a volunteer teacher of Spanish as a Foreign Language for several projects aimed at providing education and help to access employment to people at risk of social exclusion. 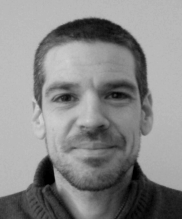 He moved to Scotland in 2014, where he starts teaching Spanish tuiton and working for different private language schools in Edinburgh and Glasgow. Currently, he combines these positions with his teaching at the Adult Education Programme of The City of Edinburgh Council and his teaching at SALT Spanish Academy. 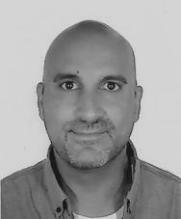 Javier is also a registered member of the General Teaching Council for Scotland.